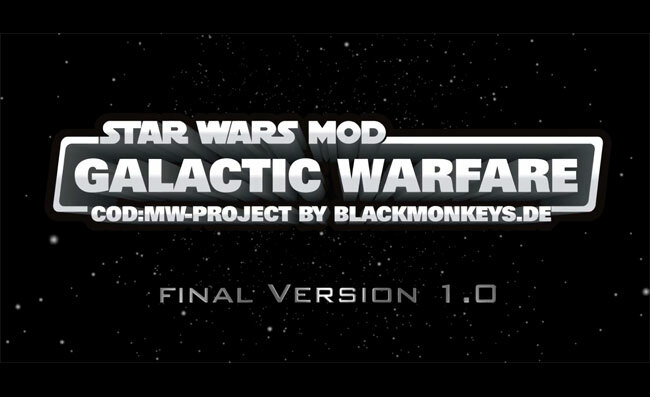 If you are a big fan of Call of Duty 4: Modern Warfare and Star Wars you might already have heard of the Star Wars Mod: Galactic Warfare mod which has been in development since 2009. Well, the new mod is finally finished and has now bee released, converting your Call of Duty 4: Modern Warfare game in to full blown Star Wars battleground. Within the game you can play as either a trooper of the Imperial Forces or as a soldier from the Rebel Alliance in a number of different locations from Star Wars. Watch the video after the break to see a little gameplay.